Check out Chabad's new location! The Chabad House at Einstein is famous for its outstanding weekly Shabbat dinners. The intimate and elegant setting allows students to meet new friends from every segment of the Medical School, while feasting on a gourmet home cooked meal. Experience the sweetness of Shabbat with great cuisine, lively conversation, and family warmth. With heartfelt gratitude to G‑d we are please to share the birth of a baby Girl! 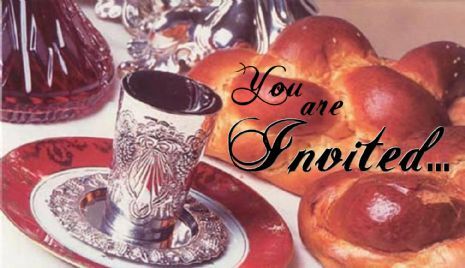 There will not be a Chabad Shabbat Dinner on Friday, Mar 1. On behalf of Tamar and myself, please consider this your personal invitation to join the Chabad at Einstein family for the Shabbat dinner. **Schedule, information and any updates or changes will be sent to this email address. Please fill out a separate form for anyone not in direct contact. You can also include additional information in the last name field. ***The Seders and all events are free for students and their spouses. Non students, or students who wish to help defray the costs can click here to make a donation.